APS Truck Armor Side Steps are the perfect way to add functionality and rigidity to your truck's rocker panels, all while improving your truck's style. Manufactured from 2-inch thick, 6061 Aircraft Aluminum tubing, you get all the strength and durability of stainless steel without the extra weight. APS Truck Armor Side Steps also come in a durable Matte Black Powder Coat finish, protecting the lightweight aluminum from rust and corrosion. The APS Truck Armor not only functions as rocker guards to protect the underside of your vehicle, they also serve as running boards due to the ultra-wide stepping surface present at each door. These steps are designed to provide superior grip and stability while getting into and out of your vehicle, and the grated design allows water, mud, and snow to get scraped off with ease. 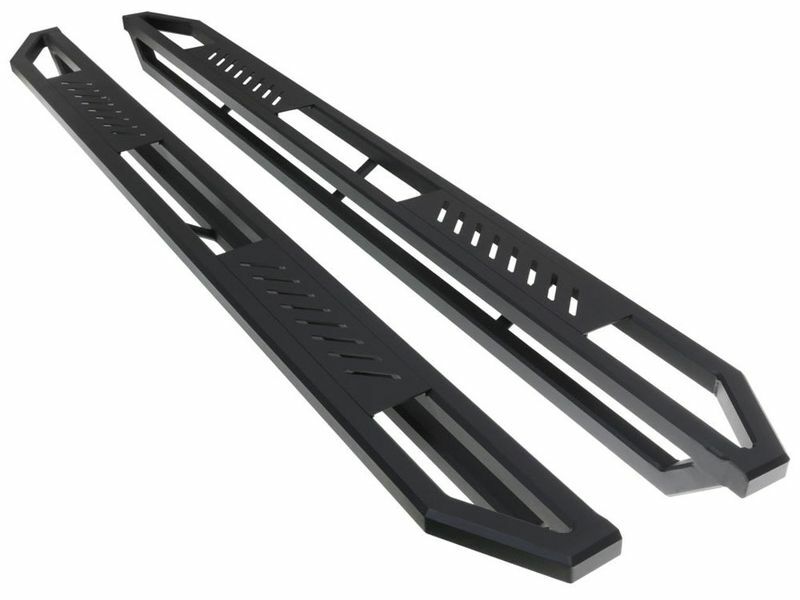 These side steps come with all the brackets, hardware, and installation instructions for your specific vehicle, and can be installed with no drilling on most applications. This means you get the perfect fitment 100% of the time, and a no-hassle installation, so you can get this product installed and on your vehicle in no time. These side steps come with a limited 1-year warranty for any manufacturer defects you may have. If you have any questions, call us and one of our experts will do their best to answer any questions you may have. So what are you waiting for? Purchase a set of APS Truck Armor Side Steps and get the style and functionality every truck or SUV needs.